England football tickets available for friendly matches and all England Euro 2018 qualification games in Europe. Buy the very best England football tickets. Safe and secure online ordering. 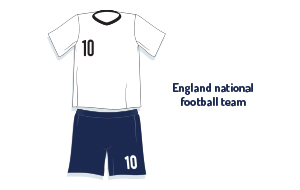 England football tickets available for all friendly matches and all World Cup 2018. With world class players such as Dele Alli, Walcott, Kane, Rooney and Sturridge England will be a serious contender to win the World Cup 2018.